The fully integrated 10 Inch Customer Display pos rear display was designed to blend in beautifully with your POS station – seamlessly integrating. It is perfect for digital signage or as a secondary monitor. The fully integrated 2 Inch Customer Display pos rear display was designed to blend in beautifully with your POS station – seamlessly integrating. 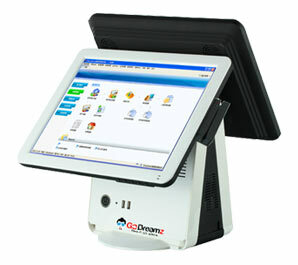 It is perfect for digital signage or as a secondary monitor. Each Retail system includes 5 employee cards to track labor hours and manage employee access.. Gift Cards are great gift option for customers and an increasingly popular “impulse buy”. A great way to increase revenue.